To say that I have been pretty obsessed with "Magnificent Century" as of late may just be the understatement of the century. 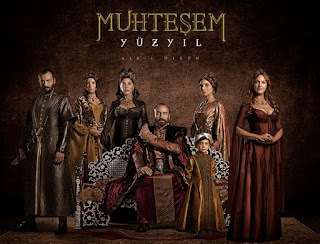 The Turkish period drama Muhteşem Yüzyıl is one seriously addictive tv series - and that comes from a person who is a serial binge watcher. The show's first season compromising of 48 episodes is available on Netflix with English subtitles and yours truly cannot wait for the additional three seasons to be added. The plot of "Magnificent Century" is a simple one yet full of twists and turns. 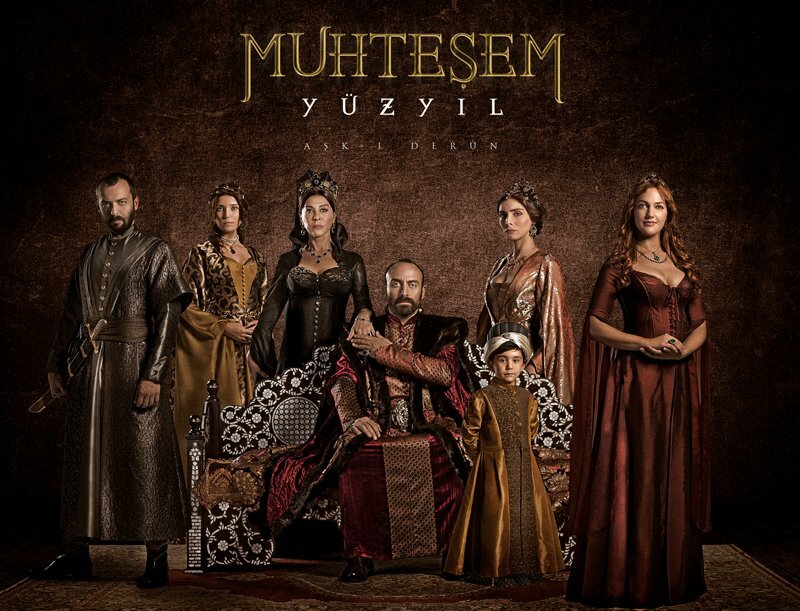 The show tells the story of Sultan Süleyman, who ruled to Ottoman Empire from 1520 to 1566 and is is known in Turkey as the Lawmaker, renowned for his innovative legal code, for the opulence of his court and for expanding the Ottoman Empire from the Persian Gulf to Transylvania. It particularly focuses on his relationship with Hürrem Sultan (or Roxelana as she is mostly known in the Western world), the Christian slave girl from modern-day Ukraine who eventually became his wife and a powerful political influence, as well as the inner workings of his harem. As I learned "Magnificent Century" is a television phenomenon in many parts of the world, watched by more than 200 million people. It was heavily criticised by some parts of the Turkish public including President Recep Tayyip Erdoğan for invading "the privacy of a historical person" and being "an effort to show our history in a negative light to the younger generation". But well, Erdoğan isn't the person I would listen to when it comes to period dramas (or anything, period.) Do I think that the dresses of the women of a 16th century harem were cut as low? No. 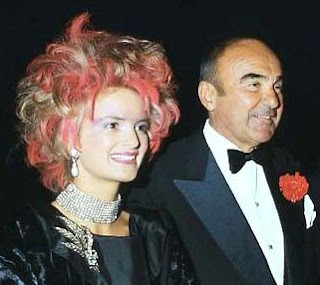 Do I think the jewellery looks a bit too modern? Yes. Still, "Magnificent Century" is one of the most well-rounded period dramas I have seen in a long time. In this show, you will find (almost) no characters that are just good and no characters that a pure evil. It is a multi-faceted portrayal of Sultan Süleyman and those around him with a focus on two charismatic former Christian slaves Hürrem and Ibrahim and their rise to power. You know my stance on accuracy in period dramas and portraying the secret world of a harem is even more difficult. Far less is known about the sixteenth-century harem than about the royal houses of Europe during the same period of time. The harem was a closed world: There were no nobles hanging around the Ottoman court, writing memoirs or exchanging letters full of the court's gossip, who could have given an inside glimpse. Yes, the show is a lavish soap opera but in many ways the story remains faithful to historical fact, as least as far as such facts are known. Of course the show does take liberties, fictionalises and embellishes (with no pretension to historical accuracy). What would it take for a Christian slave, woman and peasant from beyond nowhere, to make the "Sultan of Sultans, Ruler of Rulers, earthly shadow of Him who crowns sovereigns" marry her - the first marriage of a Sultan in centuries - and to become the most powerful woman of the Empire? We don't know. And the answers "Magnificent Century" gives isn't always a pretty one: Hürrem isn't always the devoted lover and sweetheart she likes Süleyman to see her as. He, in turn, also is a complete character: Educated, religiously faithful, patient and focused on justice, yet authoritarian, expansionist and with no mercy for those who betray him. The series combines high drama with sumptuous costumes and stunning sets - and is a must-watch for any period drama lover!